You know how much we love photographing engagement shoots. 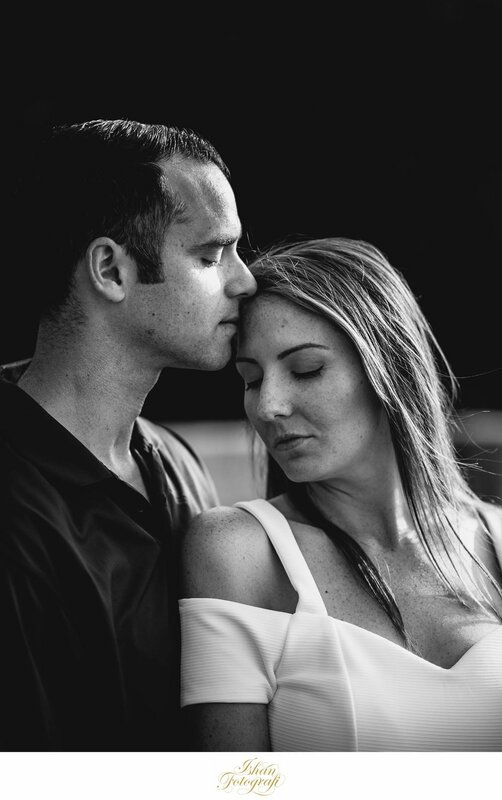 It gives us an opportunity to know our couple, understand their chemistry, build our chemistry with them and above all, make some spectacular portraits of the engaged couple before their wedding day. 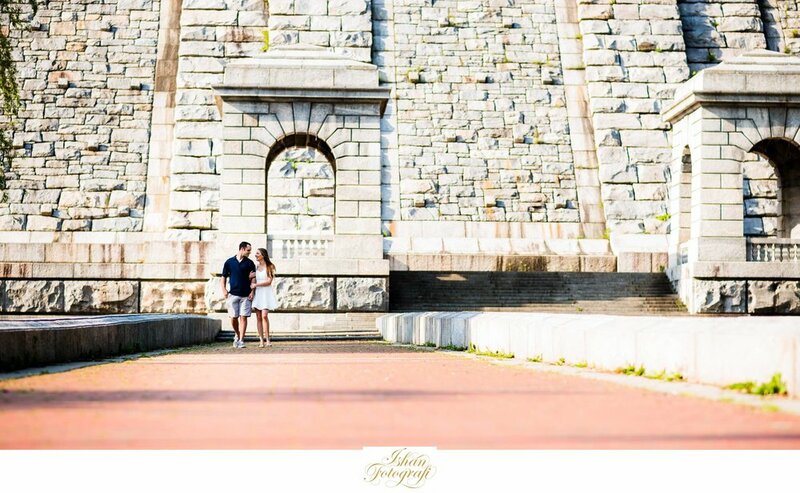 Normally, we love to give location suggestions for engagement shoots based on the kind of look our couples are aiming for in their photos, but it's even better when our couple suggests a location because they have a personal connection with it. And that's great for us, because the couple naturally feels comfortable in the space they are familiar with. For this engagement session, we met our sweet couple at their home. 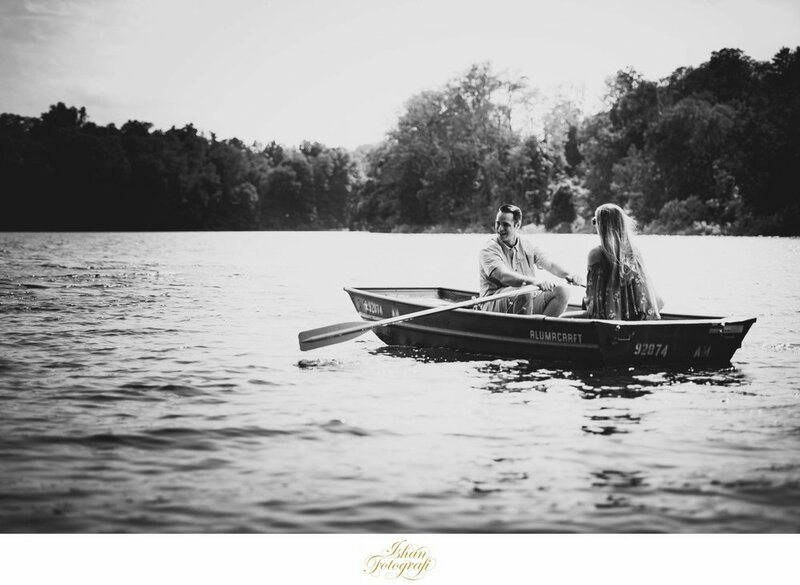 We started their engagement shoot at a nearby reservoir where Ryan keeps his fishing boat. We then took a short drive to the Kensico Reservoir Park and ended our day with some beautiful evening portraits in Dobbs Ferry, New York. Caitlin & Ryan are going for a nautical themed wedding later this year at the Gurney's Montauk Yacht Club and the location and elements were just perfect for their engagement shoot. 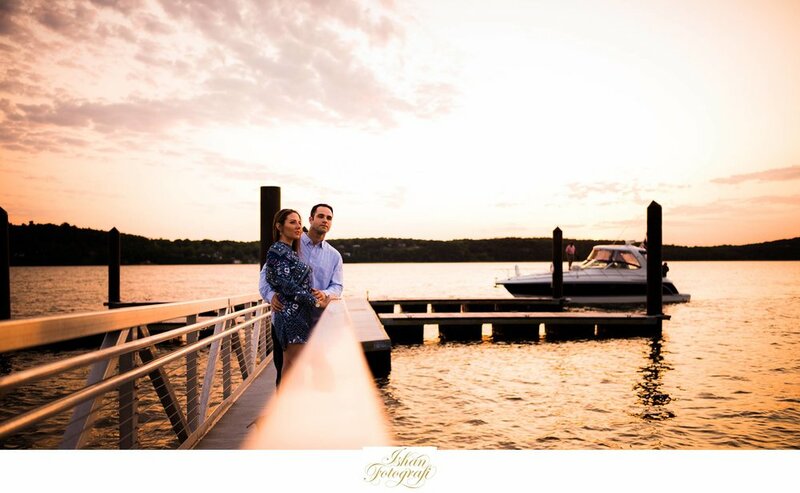 Caitlin and Ryan, we enjoyed exploring beautiful new grounds with you and are very excited to photograph your wedding in Montauk later this year!